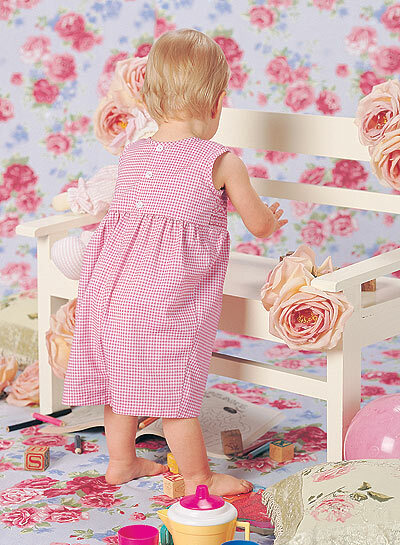 Description: Soft cotton gingham in pink and white with a handful of rosebuds and a liberal dose of smocking and sweet little bows equals the formula for an adorable summer romper for little girls. The sleeveless bodice is smocked from shoulder to wasit with an easy diamond design. Each large diamond is embroidered with a rose in full bloom or a tiny bud. 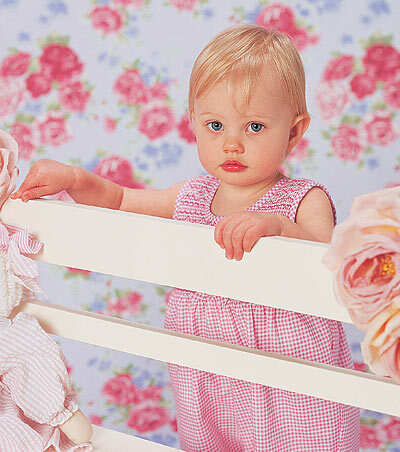 Self-piping and a centre fabric bow adds definition to the bodice at the waist. The short legs are scalloped tha the front and trimmed with a bow at each centre panel.